A couple weeks ago we learned how to classify images using deep learning and OpenCV 3.3’s deep neural network ( dnn ) module. While this original blog post demonstrated how we can categorize an image into one of ImageNet’s 1,000 separate class labels it could not tell us where an object resides in image. In order to obtain the bounding box (x, y)-coordinates for an object in a image we need to instead apply object detection. Object detection can not only tell us what is in an image but also where the object is as well. In the remainder of today’s blog post we’ll discuss how to apply object detection using deep learning and OpenCV. In the first part of today’s post on object detection using deep learning we’ll discuss Single Shot Detectors and MobileNets. From there we’ll discover how to use OpenCV’s dnn module to load a pre-trained object detection network. This will enable us to pass input images through the network and obtain the output bounding box (x, y)-coordinates of each object in the image. Finally we’ll look at the results of applying the MobileNet Single Shot Detector to example input images. In a future blog post we’ll extend our script to work with real-time video streams as well. Figure 1: Examples of object detection using Single Shot Detectors (SSD) from Liu et al. Faster R-CNNs are likely the most “heard of” method for object detection using deep learning; however, the technique can be difficult to understand (especially for beginners in deep learning), hard to implement, and challenging to train. Furthermore, even with the “faster” implementation R-CNNs (where the “R” stands for “Region Proposal”) the algorithm can be quite slow, on the order of 7 FPS. If we are looking for pure speed then we tend to use YOLO as this algorithm is much faster, capable of processing 40-90 FPS on a Titan X GPU. The super fast variant of YOLO can even get up to 155 FPS. The problem with YOLO is that it leaves much accuracy to be desired. SSDs, originally developed by Google, are a balance between the two. The algorithm is more straightforward (and I would argue better explained in the original seminal paper) than Faster R-CNNs. We can also enjoy a much faster FPS throughput than Girshick et al. at 22-46 FPS depending on which variant of the network we use. SSDs also tend to be more accurate than YOLO. To learn more about SSDs, please refer to Liu et al. Figure 2: (Left) Standard convolutional layer with batch normalization and ReLU. (Right) Depthwise separable convolution with depthwise and pointwise layers followed by batch normalization and ReLU (figure and caption from Liu et al.). When building object detection networks we normally use an existing network architecture, such as VGG or ResNet, and then use it inside the object detection pipeline. The problem is that these network architectures can be very large in the order of 200-500MB. Network architectures such as these are unsuitable for resource constrained devices due to their sheer size and resulting number of computations. Instead, we can use MobileNets (Howard et al., 2017), another paper by Google researchers. We call these networks “MobileNets” because they are designed for resource constrained devices such as your smartphone. MobileNets differ from traditional CNNs through the usage of depthwise separable convolution (Figure 2 above). Followed by a 1×1 pointwise convolution. This allows us to actually reduce the number of parameters in our network. …but they are much more resource efficient. For more details on MobileNets please see Howard et al. If we combine both the MobileNet architecture and the Single Shot Detector (SSD) framework, we arrive at a fast, efficient deep learning-based method to object detection. The model we’ll be using in this blog post is a Caffe version of the original TensorFlow implementation by Howard et al. and was trained by chuanqi305 (see GitHub). We can therefore detect 20 objects in images (+1 for the background class), including airplanes, bicycles, birds, boats, bottles, buses, cars, cats, chairs, cows, dining tables, dogs, horses, motorbikes, people, potted plants, sheep, sofas, trains, and tv monitors. In this section we will use the MobileNet SSD + deep neural network ( dnn ) module in OpenCV to build our object detector. I would suggest using the “Downloads” code at the bottom of this blog post to download the source code + trained network + example images so you can test them on your machine. Let’s go ahead and get started building our deep learning object detector using OpenCV. On Lines 2-4 we import packages required for this script — the dnn module is included in cv2 , again, making hte assumption that you’re using OpenCV 3.3. --image : The path to the input image. Again, example files for the first three arguments are included in the “Downloads” section of this blog post. I urge you to start there while also supplying some query images of your own. Lines 20-23 build a list called CLASSES containing our labels. This is followed by a list, COLORS which contains corresponding random colors for bounding boxes (Line 24). The above lines are self-explanatory, we simply print a message and load our model (Lines 27 and 28). Taking note of the comment in this block, we load our image (Line 34), extract the height and width (Line 35), and calculate a 300 by 300 pixel blob from our image (Line 36). On Lines 41 and 42 we set the input to the network and compute the forward pass for the input, storing the result as detections . Computing the forward pass and associated detections could take awhile depending on your model and input size, but for this example it will be relatively quick on most CPUs. Looping through our detections , first we extract the confidence value (Line 48). If the confidence is above our minimum threshold (Line 52), we extract the class label index (Line 56) and compute the bounding box around the detected object (Line 57). Then, we extract the (x, y)-coordinates of the box (Line 58) which we will will use shortly for drawing a rectangle and displaying text. Next, we build a text label containing the CLASS name and the confidence (Line 61). Using the label, we print it to the terminal (Line 62), followed by drawing a colored rectangle around the object using our previously extracted (x, y)-coordinates (Lines 63 and 64). In general, we want the label to be displayed above the rectangle, but if there isn’t room, we’ll display it just below the top of the rectangle (Line 65). Finally, we overlay the colored text onto the image using the y-value that we just calculated (Lines 66 and 67). We display the resulting output image to the screen until a key is pressed (Lines 70 and 71). To download the code + pre-trained network + example images, be sure to use the “Downloads” section at the bottom of this blog post. 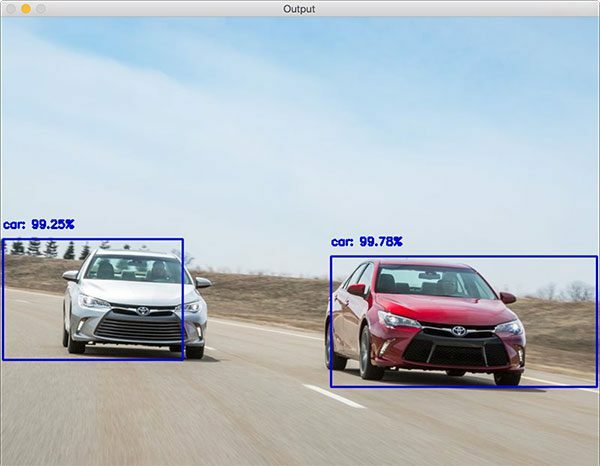 Figure 3: Two Toyotas on the highway recognized with near-100% confidence using OpenCV, deep learning, and object detection. Our first result shows cars recognized and detected with near-100% confidence. Figure 4: An airplane successfully detected with high confidence via Python, OpenCV, and deep learning. 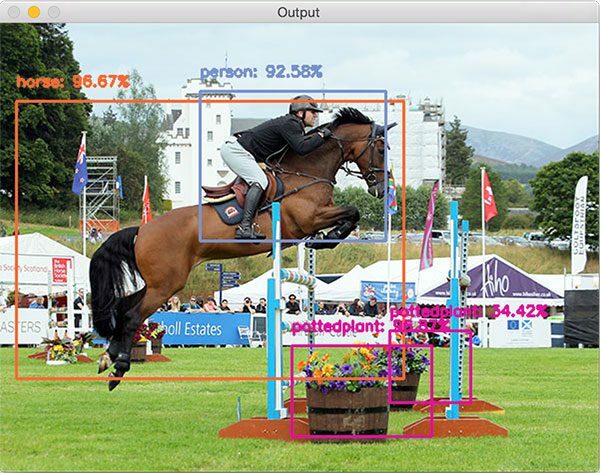 Figure 5: A person riding a horse and two potted plants are successfully identified despite a lot of objects in the image via deep learning-based object detection. 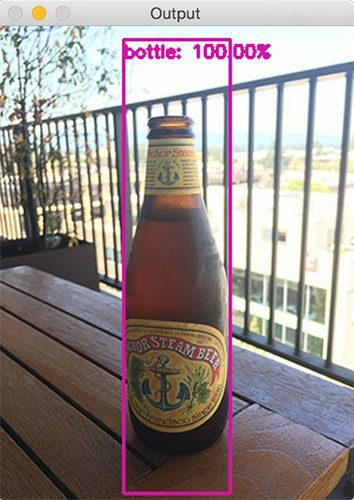 Figure 6: Deep learning + OpenCV are able to correctly detect a beer bottle in an input image. Figure 7: Several objects in this image including a car, dog, horse, and person are all recognized. 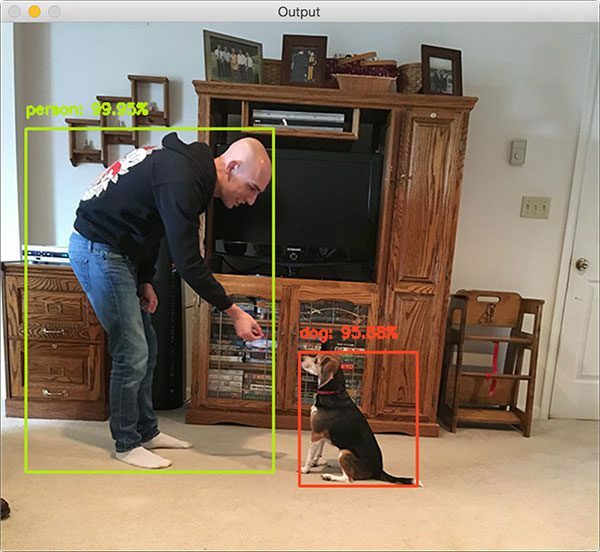 Figure 8: Me and the family beagle are corrected as a “person” and a “dog” via deep learning, object detection, and OpenCV. The TV monitor is not recognized. Unfortunately the TV monitor isn’t recognized in this image which is likely due to (1) me blocking it and (2) poor contrast around the TV. That being said, we have demonstrated excellent object detection results using OpenCV’s dnn module. In today’s blog post we learned how to perform object detection using deep learning and OpenCV. Specifically, we used both MobileNets + Single Shot Detectors along with OpenCV 3.3’s brand new (totally overhauled) dnn module to detect objects in images. As a computer vision and deep learning community we owe a lot to the contributions of Aleksandr Rybnikov, the main contributor to the dnn module for making deep learning so accessible from within the OpenCV library. You can find Aleksandr’s original OpenCV example script here — I have modified it for the purposes of this blog post. In a future blog post I’ll be demonstrating how we can modify today’s tutorial to work with real-time video streams, thus enabling us to perform deep learning-based object detection to videos. We’ll be sure to leverage efficient frame I/O to increase the FPS throughout our pipeline as well. To be notified when future blog posts (such as the real-time object detection tutorial) are published here on PyImageSearch, simply enter your email address in the form below. how do we train the dnn using opencv or do we have to use tensorflow and the likes? plus where can we get some sample caffemodels? tensorflow has some models in its own ckpt format. I would start by giving the first post in the series a read. You do not train the models with OpenCV’s dnn module. They are instead trained using tools like Caffe, TensorFlow, or PyTorch. This particular example demonstrates how to load a pre-trained Caffe network. The dnn module has been totally re-done in OpenCV 3.3. Many Caffe models will work with it out-of-the-box. I would suggest taking a look at the Caffe Model Zoo for more pre-trained networks. I need detect object on the traffic. Do you have a new topic about Caffe models? How to create or retrain model to custom caffe model for my way? The model included in this post is trained on a car/bus class which is a presume what you mean by traffic? I also discuss how to train your own custom models inside the PyImageSearch Gurus course and Deep Learning for Computer Vision with Python. when I learn the book “deep learning for computer vision” ,I missed this problem.I has installed the scipy.How can I resolve it? how long does it take to forward walk through the provided network? Is it faster than tensorflow based networks of same architecture? Is there a tutorial inside of your books that covers fast recognition and detection using CNN at best in realtime with networks like YOLO. 1. As I’ll be discussing in next week’s tutorial you’ll be able to get 6-8 frames per second using this method. 2. Once the model is trained you won’t see massive speed increases as it’s (1) just the forward pass and (2) OpenCV is loading the serialized weights from disk. 3. Yes, I will be covering object detection inside Deep Learning for Computer Vision with Python. You’ll want to go with the ImageNet Bundle where I discuss SSD and Faster R-CNNs. Hi Adrian , You always inspired me with your Tremendous Innovation and become my Role Model too…. ImportError: Could not import Theano. Hi Vasanth — you need to install OpenCV 3.3 for this tutorial to work. Lasange and Theano are not needed and you can safely skip them. Is there any way to make this work with OpenCV 3.2 – I am trying to make this work with ROS (Robot operating system) but this only incorporated OpenCV 3.2. AM I SOL don’t go there territory or is there a way? Hey David — I wish I had better news for you. The dnn module was completely and entirely overhauled in OpenCV 3.3. Without OpenCV 3.3 you will not have the new dnn module and therefore you cannot apply object detection with deep learning and OpenCV. Again, I hate to be the bearer of bad news. Be careful when doing this — you’ll be missing out on additional libraries and you may not have GUI support. Hi Usama — I would suggest opening a Python shell and checking the cv2.__version__. It still sounds like OpenCV 3.3 is not installed properly. hi am facing the same problem. i install opencv 3.3 but still this error is coming can u pls help. hii i installed opencv 3.4.3 ,still i am facing same problem no module dnn found, even i checked the version of my cv , can you help me out? What instructions did you use to install OpenCV? Was it one of my OpenCV install guides? i encountered the same problem. Has the problem been solved? I still believe this is a version issue/mismatch. Double-check that you have OpenCV 3.3 or greater installed. You’ll want to compile and reinstall. You can refer to my OpenCV install tutorials to get you started. Thanks Andrew — I’ll be sharing how to train your own custom object detector inside Deep Learning for Computer Vision with Python as well. this might be very interesting when do you think train custom object tutorial will be shared ? Thanks alot for what you doing for us! As I mentioned in the previous comment, I’ll be covering how to train custom object detectors inside the ImageNet Bundle of Deep Learning for Computer Vision with Python. when it will be released ? if i pre-ordered now , when i should recieve all materials ? You would want to buy the ImageNet Bundle as that is where I’ll be covering object detection methods in detail. The chapters inside the ImageNet Bundle will be released in October 2017. Hi Aditya — as I mentioned in the tutorial this object detector is pre-trained via the Caffe framework. I’ll be discussing hwo to create your own custom object detectors inside Deep Learning for Computer Vision with Python. Nice tutorial. Can i please have the video implementation of the object detection method. The challenge i am facing is of the model using up all my resources for inference and i am sure this method goes a long way in ensuring efficient resource usage during inference. I will be sharing the video implementation of the deep learning object detection algorithm on Monday, September 18th. Be sure to keep an eye on your inbox as I’ll be announcing the tutorial via email. Can you please share the code for the video implementation of the deep learning object detection algorithm. God send you to save my life. I struggled for months about the performance issue with yolov2. It’s just too heavy for cpu and mobile devices. Adrian, I am glad there is someone like you in this CV/ML community! Keep up the high quality contents! I’m still trying to understand how an image classifier cold be incorporated into a larger network for find bounding boxes. I thought about searching a tree of cropped images buy that would be interactive and slow. I looks like this article took the black-box approach. How to detect objects? Make a call to an object detector. That’s easy but how does the object detector work? Traditional object detection is accomplished using a sliding window an image pyramid, like in Histogram of Oriented Gradients. Deep learning-based object detectors do end-to-end object detection. The actual inner workings of how SSD/Faster R-CNN work are outside the context of this post, but the gist is that you can divide an image into a grid, classify each grid, and then adjust the anchors of the grid to better fit the object. This is a huge simplification but it should help point you in the right direction. It didn’t work. the detections return only the shapes that were detected. if I had only 2 shapes in my image, the for loop will repeat twice, then integration would be 0 and 1 and not the whole CLASSES. So, your answer is wrong. I’ve tried it. But I can’t find a way of detecting only human shape. You’ll want to double-check that the idx is indeed 14. That’s is exactly what I tried, but it’s 15 for “person”. You said in other comment that you’d be sharing the video implementation on Monday. I already did that following the instructions here and others about video. But, it takes around 17 s between frames (between processing a frame and another). Do you know what I could do to decrease this time? Hi Barbara — unfortunately without knowing more about your setup I’m not sure what the issue is. I would kindly ask you to please wait until the video tutorial is released on Monday, September 18th. There are additional optimizations that you may not be considering such as reducing frame size, using threading to speedup the frames per second rate, etc. I modified this algorithm to find only people, there are many false positives. Is it possible to integrate it with a face search? I just want to know if there is a person in the picture, not a position in the picture, recognition or something else. Are you trying to detect the presence of a face in an image? Simple Haar cascades or HOG + Linear SVM detectors could easily accomplish this. Take a look at this blog post as well as Practical Python and OpenCV for help with face detection. If you’re trying to actually recognize the face in an image you should use face recognition algorithms such as Eigenfaces, Fisherfaces, LBPs for face recognition, or even deep learning-based techniques. The PyImageSearch Gurus course covers face recognition techniques. Hi Siam — you are not providing the --image command line argument. Please (1) see my examples of executing the script in this tutorial and (2) read up on command line arguments. Thank you, Adrian. Very useful theme with interest explanation. I’m happy you found it helpful, Alexander! It’s my pleasure to share. I would definitely recommend using Linux for deep learning environments. macOS is a good fallback or if you’re just playing around and learning fundamentals. I would not recommend Windows. Is it possible to use a pre-trained TensorFlow model with OpenCV 3.3 as a custom object detector? Or does it only work with Caffe? You can use a pre-trained TensorFlow model. Please see my reply to “Sydney”. Hie man. How can i use a tensorflow .pb model file instead of he caffee model? Please see this blog post where I list out the TensorFlow functions for OpenCV. Hi, Adrian. Have you tried the original TensorFlow Model to compare with the Caffe version? Do you plan to do such tests and show on your blog how to use a pre-trained model with differentt Network architectures? Thanks a lot for your great posts. It encourages me even more to buy your books, and I hope I will! I personally haven’t benchmarked the original TensorFlow model compared to the Caffe one; however, the author of the TensorFlow did benchmark them. They share their benchmarks here and note the differences in implementation. I’ve already covered how to use GoogLeNet and now MobileNet in this post. I’ll cover more networks in the future. Otherwise, for a detailed review of other state-of-the-art architectures (and how to implement them) I would definitely refer you to Deep Learning for Computer Vision with Python. Thanks a lot, Adrian. And I have just watched your new real-time object detection video on YouTube. Oh, man, stop blowing my mind! Hahaha. I can’t wait to see the blog post. And thank you for always answering our questions. You must be a super organized person to do that on such a busy schedule. Cheers. I missed a step somewhere. Hi Alan — it looks like you do not have OpenCV 3.3 installed. Please ensure OpenCV 3.3 has been installed on your system. I tried to combine this code with your previous code which uses googlenet, but found out that the forward procedure doesn’t support localization. If I don’t care about the computation timing and would like to have much more classes with localization, what should I do? Unfortunately in that case you would need to train your own custom object detector to on the actual ImageNet dataset so you can localize the 1,000 specific categories rather than the 20 that this network was trained on. Is there a list out there of the different “classes” that can be detected? I have searched extensively and can’t find anything. My guess is that there are A LOT of them. Hi Scott — please see this blog post, specifically Lines 20-23. The CLASSES list provides the list of classes that can be detected using this pre-trained network. Ran your code and honestly it’s amazing. Superb! The models are soo well trained, and code so clean and well to read. Yes, just be sure to perform the calibration step via the triangle similarity (as discussed in the “Measuring distance between objects in an image” post you linked to). Have you had a chance to look at the Neural network on a stick from Modivus? (developer dot movidius dot com/ ) Do you believe if it holds promise for this sort of application, where small and faster computation is more the need than the crunching power of say the Nvidiai Tesla machines? It really depends on how well Intel documents the Movidius stick (Intel isn’t known for their documentation). The Movidius is really only meant for deploying networks, not training. Hi, Adrian. Maybe it’s something worth to give it a try. The stick is not that expensive and appears to increase the frame rate substanttialy on a Pi 2 or 3. I’m waiting for your post about real-time object detection on a Pi, but I’m afraid that it doesn’t work so well. I have seen these two videos (https://www.youtube.com/watch?time_continue=4&v=f39NFuZAj6s ; https://www.youtube.com/watch?v=41E5hni786Y) and i’m wondering how would it be using such pre-trained Caffe models running on Movidius NCS with a Raspberry Pi and OpenCV. It would be awesome! Have you ever thought about exploring it? I’ve mentioned the Movidius in a handful of comments in other blog posts. The success of the Movidius is going to depend a lot on Intel’s documentation which is not something they are known for. I’ll likely play around with it in the future, but it’s primarily used for deploying pre-trained networks rather than training them. Again, it’s something that I need to give more thought to. Follow my OpenCV 3 install tutorials and ensure you download OpenCV 3.3. You can follow my OpenCV 3 install tutorials and replace the OpenCV 3.X version with OpenCV 3.3. Your tutorials are really excellent! You get the impression that everything is so simple. On the basis of your code, which works perfectly, I would now like to identify (car / van / small trucks / large trucks). But simply changing the model does seem to be the right way to go. What should I do? … Yes I completely discover the subject. You can use pre-trained models to detect objects in images; however, these pre-trained models must be object detectors. The GoogLeNet model is not an object detector. It’s an image classifier. The version of GoogLeNet you supplied cannot be used for object detection (just image classification). Interestingly, running your code on my machine gives different object detection results than yours. For instance, on example 3, I can only detect the horse and one potted plant. On example 5 I get the same detection plus the dog is also detected as a cat (with a higher probability) and the model is able to capture the person in the back, left side near the fence. Is this variation expected? I would have expected that the dnn model would behave the same on an the same image for all repetitions of the experiment. There will be a very tiny bit of variation depending on your version of OpenCV, optimization libraries, system dependencies, etc. ; however, I would not expect results to vary as much as you are seeing. What OS and versions of libraries are you running? Hi Peter, thanks for the comment. I’m honestly not sure what the problem is here. I have not run into this issue personally and I’m not sure what the problem/solution is. I will continue to look into it. There will also be variations based on the confidence level you specify. For example in the image above one plant is 89% confidence and the other is much lower at only 34%. Thanks for writing wonderful tutorials. What is the best place to learn about all functions inside OpenCV module and Tensorflow deep learning modules? For understanding your code, I feel i should brushup these things first, I can better understand your code. Can you elaborate on what you mean by “all functions”? If you wanted to learn about “all functions” you would read through the documentation for OpenCV and TensorFlow. However, I don’t think this is a very good way to learn. Instead, you should go through Practical Python and OpenCV and Deep Learning for Computer Vision with Python which teaches you how to use these functions to solve actual problems. Reading the documentation can be helpful to clarify the parameters to a function, but it’s not a very good way to practically learn the techniques. How do I run the final command on windows? Any idea what this could be? OpenCV 3.3, Python 3.6 (same error on 2.7). Similar error is produced when I change the model or prototxt. Please see my reply to “zhang xue” and confirm whether you’ve used the “Downloads” sections of this post to download the pre-trained model files. what does this line means when the blob is forward pass through the network in the line “net.forward”? what are these 4 parameters(0,0,i,2) means and how it extracts the confidence of the object detected? what is this 1 signifies in detections[ ]? what do you want to do by multiplying numpy array with detections? Why you take 4th argument of detections[ ] as 3:7, what does this mean? Why you pass [w, h, w, h] to numpy array and why you pass width and height two times to numpy array? The detections object is a mulit-dimensional NumPy array. The call to detections.shape gives us the number of actual detections. We can then extract the confidence for the i-th detection via detections[0, 0, i, 2]. The slice 3:7 gives us the bounding box coordinates of the object that was detected. We need to multiply these coordinates by the image width and height as they were relatively scaled by the SSD. Take a look at the detections NumPy array and play around with it. If you’re new to NumPy, take the time to educate yourself on how array slices work and how vector multiplies work. This will help you learn more. Just to make sure I’m understanding what is going on here. SSD is an object detector that sits on top of an image classifier (in this case MobileNet). So, technically, one can switch to a more accurate (but slower) image classifier such as Inception. And this would improve the detection results of SSD. Is this correct? I guess I can look at your other posts about using Google LeNet and change a few lines in this example to switch MobileNet with Google LeNet in OpenCV? Also, have you come across any implementations or blog posts that discuss playing around with various image classifiers + SSD in Keras to perform object detection? Thanks once again for your blog posts. They have saved me hours and hours of time and the hair on my head. This is a bit incorrect. In the SSD architecture, the bounding boxes and confidences for multiple categories are predicted directly within a single network. We can modify an existing network architecture to fit the SSD framework and then train it to recognize objects, but they are not hot swappable. For example, the base of the network could be VGG or ResNet through the final pooling layers. We then convert the FC layers to CNV layers. Additional layers are then used to perform the object detection. The loss function then minimizes over correct classifications and detections. A complete review of the SSD framework is outside the scope of this post, but I will be covering it in detail inside Deep Learning for Computer Vision with Python. There are one or two implementations I’ve seen of SSDs in Keras and mxnet, but from what I understand they are a bit buggy. Yes, you are absolutely correct. the ImageNet Bundle of Deep Learning for Computer Vision with Python will demonstrate how to train your own custom object detectors using deep learning. From there I’ll also demonstrate how to create a custom image processing pipeline that will enable you to take an input image and obtain the output predictions + detections using your classifier. Secondly, I will be reviewing SSD inside the ImageNet Bundle. I won’t be demonstrating how to implement it, but I will be discussing how it works and demonstrating how to use it. Hi, I was wondering if I would be able to only detect fruits and vegetables and differentiate the different types? Using the pre-trained network, no. You can only detect objects that the network was already trained to recognize. If you want to recognize custom objects (such as fruits and vegetables) you’ll need to either (1) train a new network from scratch or (2) apply transfer learning, such as fine-tuning. Would you be able to send any helpful tools or links that would help me start the train the network from scratch?. I would suggest reading up on Caffe. You should use read how the MobileNet detector was trained on the author’s GitHub. I’ll also be discussing how to train your own custom deep learning object detectors inside the ImageNet Bundle of Deep Learning for Computer Vision with Python. Just to clarify, have you used the “Downloads” section of this blog post to download the source code + pre-trained Caffe model and prototxt files? i have the same problem here. code, model and prototxt is from your site! Hi Jason — thanks for the comment. I’ve seen a handful of readers run into this problem. Unfortunately I have not been able to replicate it. It would be a big help to me and the rest of the PyImageSearch community could help to replicate this error. Hi Adrian, thanks for all of your efforts in making such useful tutorials. I am also facing the same error though I have downloaded the code from the website. I guess I have found the solution, at least it worked for me. Some times downloaded files are blocked by the computer, so you have to open the properties of Model file and Prototxt file, and check the UNBLOCK at bottom right. Hopefully it would work. Thanks again. Hi Fahad — thanks for sharing. Just to clarify, what operating system are you using? Hi Adrian, I am using Windows 10 and Spyder IDE for Python 3.6. Hi Adrian. Thanks a lot for your tutorials. But i’m still having this error. Have you found any ways to solve it ? Hi Hung Tran — what operating system are you using? I would suggest double-checking the paths to your prototxt and model files. Hi, Thank you for this nice tutorial.I have another question. How to solve this?Thank you! Please double-check the path to the input model path controlled by the --model switch. The path you supplied does not exist. That is why OpenCV is throwing an error. Hi! thank u for this nice tutorial. I have the same error and I download the code from this site. Fahad solution does not work for me… I’m using python 3.5 , opencv 3.3 on windows 8..
what algorithm you used detect object in image or can you please links for research paper , other code for object detection from image in which i can train my own images as it will be covered in your book you told but for now i need a reference as a part of my project…. so i would be glad if you can share github link for thr object detection code with train.py file. Thanks your tutorials are too good…. I cover various object detection methods inside the PyImageSearch Gurus course, including links to various academic papers. I suggest you start there. I want to play with this code on my pc which is windows 7 64-bit. On my machine, I still don’t yet have opencv installed and even I don’t know about which configuration(working environment) should I have in order to run this code. I even don’t know how to install opencv on my pc so that this code will run, please help…..
Hi Aniket — if you are interested in studying computer vision and deep learning I would recommend that you use either Linux or macOS. Windows is not recommended for deep learning or computer vision. I demonstrate how to configure Ubuntu for deep learning and macOS for deep learning. Otherwise, I offer a pre-configured Ubuntu VirtualBox virtual machine as part of my book, Deep Learning for Computer Vision with Python. This VM will run on Windows, macOS, and Linux and is by far the fastest way to get up and running with deep learning and OpenCV. Hi Adrian, caffe 2 models are used for OpenCv or only Caffe. first of all, thanks for this great tutorial! Could you give me a small hint how to match it? Escpecially the scalar value “0.007843” and “127.5” did not realy match for me. Thanks for you help and again great work! I’ll actually be doing a tutorial that details every parameter of the cv2.dnn.blobFromImage in the next few weeks. In the meantime, 127.5 is the mean subtraction value and 0.007843 is your normalization factor. Hi Adrian, thanks for your fast reply. Ok, is this a special function you are using? I am currently using openCV 3.3 from august this year. Actually, I do not understand yet how the normalization factor fits to the current API. There is the mean value which gets subtracted from each color channel and parameters for the target size of the image. And finally a boolean flag to swap the red and green channels. Could you give me a hint please? You are correct. The mean value is computed across the training set and then subtracted from each channel of the image. You can also optionally supply a 3-tuple if you have different RGB values (which in most cases you do). Once you perform the mean subtraction you multiply by the scaling value. Ok, thanks for the hint. Sorry for bothering you again but would be this call correct? Again, thank you for your great tutorials! I have only used the Python bindings of the “dnn” module, not the C++ ones. It looks like your call is correct, but again, you should compile your code and try it. I am trying to convert the python code in C++ , I think you already did it . is it possible for you to share it or give some direction on it. I am trying to detect just 1 object . I am able to run the c++ example provided by OPenCV but want to add the rectangle around the object . I am not so good in python so unable to understand much out of it. I was trying to replicate your results of example 3. In my case only the horse and potted plants were getting detected and not the person. Either I had to remove the mean (127.5) from blobFromImage or resize to 400×400 to get person detected. Do you know why so ? Hi Nihit — that is indeed strange; however, I’m not sure why that would be. Did you use the “Downloads” section of the post to use the same code, pre-trained network, and example images that I used? Thank you for sharing the additional details, Nihit! Unfortunately I’m not sure what the exact issue is here. I wish I could help more, but without physical access to your machine to diagnose any library issues, I’m not sure what the problem may be. Did you solve this? Same issue here. Tried opencv versions 3.3.0.9, 3.3.0.10, 3.3.1.11, 3.4.0.12, 3.4.0.14, 3.4.1.15, 3.4.2.16, 3.4.2.17. All have this issue. Hi! Thanks for the clear tutorial, really makes difference in trying to figure this stuff out! how does the model go through the blob to get the location? 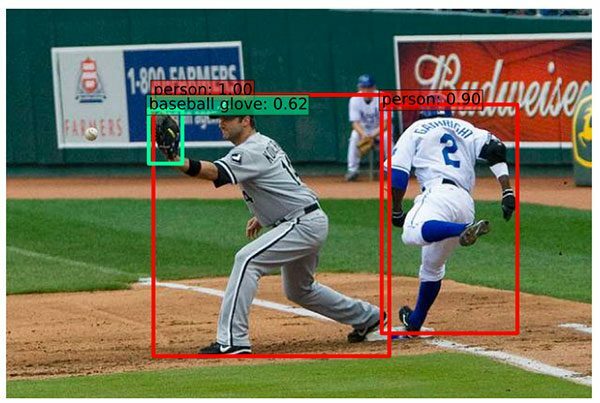 I mean, if the object recognition model is (presumably) trained with the object nicely framed in the middle of the image, how does the detection model find a small or partially covered object like the baseball glove? Does it somehow divide the image in seqments? The model is not trained with images that have the objects nicely framed in the center of the image. Instead, images are provided with plaintext bounding boxes that indicate where in the image the object is. The SSD then learns patterns in the input images that correspond to the class labels while simultaneously adjusting the predicted bounding boxes. 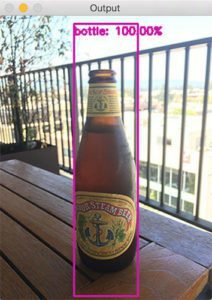 If you’re new to computer vision and object detection be sure to read this post on the fundamentals on more traditional object detectors. Hi, thanks for this post but I have a problem. So this is either (1) a typo or (2) you haven’t installed OpenCV 3.3. The correct call is cv2.dnn., not cv2.cv2.dnn. Secondly, please ensure you have installed OpenCV 3.3 on your system. Please see my reply to “siam” above. As far as I understand, Python cannot access the GPU-bindings for OpenCV. I would suggest taking a look at the C++ API of OpenCV. Cool, thank you for your suggestion. As my projects are all developed with C++ openCV APIs, this will be easier for me if the opencv C++ APIs could access the GPU-bindings. Hi Paul — the object detection in video stream post you are referring to was actually published on September 18th. You can find it here. is there anything wrong with my opencv installation?? I installed it from the link provided by you, i din run into any issue , while installation, however while running the real_time_object_detection.py file i get the above error. Please read the comments before posting. I’ve already addressed this issue multiple times. Take a look at my reply to “Vasanth”. Please ensure you have properly installed OpenCV 3.3. Thank you so much for making such great tutorials.Just wanted to know the way to train the model for a huge database (for more objects other than listed in the classes). Hi Satyam — I’m covering how to train your own custom deep learning object detectors inside Deep Learning for Computer Vision with Python. I suggest you start there and take a look. Hi Ahmad — you must use the proper command line arguments. Give this page a read. I just downloaded the source and the images were supposed to be in the .ZIP but I don’t see them. Not sure if I fumbled, but downloaded a second time and still not in the .ZIP. Not sure what I am doing wrong. Apologies, I was in the wrong lesson! Sorry. I’m glad you found the code and images! Let me know if you run into any issues. I have used it for object detection, and it works like charm on my laptop!!. I tried to replicate the same thing on Jetson Tx1, on which Opencv4Tegra was preinstalled, but, while installing Opencv 3.3 make -j4, there arises space issues. It seems i do not have enough space on Tx1. I would suggest using an external SD card, or better yet, external drive. Be sure to download the OpenCV repos to your SD card/external drive and do the compile there. This will ensure you have the additional space during the compile. After the compile has finished run sudo make install which will copy the compiled files to their appropriate locations. Are you trying to recognizing the object and label it? Or just say “yes, there is an object here” or “no, there is no object”. If it’s the latter deep learning is overkill. Simple motion detection/background subtraction is more than enough. Can you give a clear understanding of what prototext is supposed to be? Thanks. The .prototxt files are similar to configuration files for Caffe. They are in plaintext format and specify either (1) how to train a model or (2) the architecture of the model. Hi Adrian. Thanks very much for this awesome tutorial. I have one concern here though. You only take one image for detection. But this is not efficient. If I have multiple images or a video file I could read bunch of images/frames and try to detect them all at once. That will be much faster. This is a huge problem that I’m facing right now with RCNN. I can test one image but I could not find any solution how to do batch testing. It would be really great if you could also do a post about it. Love your work btw 🙂 Thanks very much. Hi Tahlil — if you’re looking to batch images together, please refer to this post to obtain optimal performance. Amazing post !..really inspired me to work on my computer vision project . I am a new baby and was really worried about it. Thank you !..I would try this and move for my project !..we were going to fine tune vgg16 with google ref dataset…which machine learning library do you suggest for use ? Are you trying to perform object detection or image classification? Keep in mind that VGG16 cannot be directly used for object detection. You would need to fit into a deep learning + object detection framework, such as SSD. Nice example. I looked at the script of Aleksandr Rybnikov you mentioned in the post and tried to adapt your example to use it with the tensorflow prelearned model. I adapted it to the 90 classes, used the ssd_mobilenet_v1_coco.pbtxt from opencv_extra and downloaded ssd_mobilenet_v1_coco_11_06_2017.tar.gz to get the frozen_inference_graph.pb. At first I used the graph.pbtxt included in the tar file but that doesn’t work with OpenCV3.1.1 and your script. So I tried the ssd_mobilenet_v1_coco.pbtxt from opencv_extra. This sort of works (doesn’t give errors) but the object recognition results are not good. Is there a way to generate an OpenCV3.1.1 compatible *.pbtxt? to work with your script or doesn’t it work this way? I’m not sure it works that way, but I would ask the OpenCV developers for further clarification. I built OpenCV 3.3 on a Raspberry Pi3 following your Raspbian Stretch instructions and downloaded this sample code. Everything seems to work except my results don’t quite match the results shown in this blog. Seems I should get the same results with the same code and test images, but it appears I don’t. The “boxes” drawn on my images seem better located than those in your example, except for the cat, which is not really there and probably is drawn over by the box for the dog. I setup virtual environments for python3 and python2.7 and my results are the same with the python3 and python2.7 environment, but different from yours. Hey Wally — sorry for any confusion here, but I updated the code in the blog post to provide better localization. That is the reason why your results do not 100% match up with mine. I was trying this with an input image containing a bat and a ball. Since these classes aren’t part of the trained classes, I was expecting that the classifier doesn’t classify my image into any classes. However it was classifying the bat and the ball into ‘Aeroplane’ and ‘Bottle’. Is there any way through which the classifier doesn’t classify an image containing untrained objects and instead outputs a message saying that the classifier was not able to detect any classes. There are “background” classes (i.e., “not interesting objects” or “not an object all”) that are used when training some object detectors; however, these only work in some contexts. I would suggest upping the minimum probability used to filter out weak predictions. Hi! I was not able to detect the ‘background’ class, even when testing it against ‘white background’ image! Could you provide me with some idea for an image where the background class can be detected. Secondly I wanted to ask if the training file is available for this? I wanted to train some classes on my own. Thirdly is there any portal where datasets for multiple images can be easily availible that can be used to test this? 1. I haven’t played with the background class for this model. 2. Please see my reply to “Justice” on September 27, 2017. 3. Are you referring to the “background” class? Can you go into a bit more detail? Are you monitoring a video stream and you want to be able to track multiple objects (in this case, dogs)? Thank you for a kind example. I am new to neural networks and I am wondering, how much speedup can one achieve, if the object classification is trained only for e.g. aeroplane in comparison to this case, where the detector is trained for 20 classes? Is that 2 times, 3 times, certainly not 20 times? What is your rough estimate? What about the size of the training file – this should be reduced 20-times? Thank you for your effort and for educating us! The number of classes a network has to recognize does not change the size of weights in the network (within reason). What changes the size of the network and associated weight file is the depth and number of parameters. You can use the same architecture and use 20 classes or 2 classes and the output model would be almost identical and size. Again, it’s the depth and type of architecture. I discuss this more in my book, Deep Learning for Computer Vision with Python. what should i do? please guide me. Notice how I am executing the command from my command line, not with the Python shell itself. Secondly, make sure you read up on command line arguments before continuing. Thank you for providing us these useful and important things. I have a question about dataset which we are using while training. I want to create a dataset which consists of luggage: handbag, backpack, suitcase etc. Does it matter to have different types of an object in the dataset, because I want to combine all these types in luggage class? Will it effect my accuracy? I would run a test using different classes and all of them combined. Handbags, backpacks, and suitcases can vary quite dramatically but without seeing your particular dataset my gut tells me that you should be using separate classes. I am using the above code, to get distance value from rectified stereo left and right images. I detect same object in both left and right images using the cv2.dnn.blobFromImage. Then from difference in the horizontal pixel location,i am finding distance. But the blob returns different vertical pixel values for same object, as the images are rectified, we should get same value right, do you know why this happens ? Also the estimated distance is erroneous, is is due to resize or scaling that we apply during cv2.dnn.blobFromImage function ? Please take a look at this blog post where I discuss performing object detection in real-time using deep learning. Instead of supplying the index of the webcam to cv2.VideoCapture you can pass in a file path. If you’re new to using OpenCV for video processing I would suggest reading through my introductory book, Practical Python and OpenCV. I hope that helps! I don’t know if this question will be answered or if anyone will know how to answer. But I am getting video feed from a TurtleBot Kinect Camera. How would I go about showing the feed with the rectangles if I am using the TurtleBot’s Kinect camera??? How can catch your code? I’m not sure what you mean by “catch”. Can you please clarify? Is there any way to see the results of different layers? Hey Massa — what in particular are you trying to visualize? The layer activations? Yes. In fact, I need to investigate how an image is processed while it passes through the layers. Take a look at the official Keras blog. They have a nice example you can follow. How we can load video instead of images in this program for object detection. You can pass a video file path into cv2.VideoCapture. I would also suggest taking a look at this tutorial. I hope that helps! I need to use SSD person detection In a transport vehicle in their sitting position. do I need to train the person detection or the pretrained data in Caffe is enough? Is there any method of counting the bounding boxes after person detection? does caffe limited of youtube tutorials? When building a production-level system you should always train or fine-tune on images that represent what the CNN will be used to detect in real-world scenarios. I would suggest fine-tuning on your own dataset if at all possible. When I run this program and I have the following condition, what do you want me to reinstall OpenCV? The “dnn” module is only in OpenCV 3.3 and above. My guess is that you have an earlier version of OpenCV installed and that you will need to reinstall OpenCV. It sounds like your path to your input image is correct and cv2.imread is returning None. You can read more about this error this blog post. how did you get the 0.0078 and the 127.5? These are the mean subtraction and scaling values. Refer to this blog post for more details. is there any way to measure the height of the bounding boxes drawn using, say, the x and y position that the program returns? The height in terms of pixels? Or the height in terms of a real-world metric such as inches, millimeters, etc.? Please read my reply to “Ahmad” on October 28, 2017. You can search this page for “command line arguments” as well. Thanks for your help in learning Mobilenet and SSD using dnn module. This blog is first of its kind and very unique. However i wanted to know if we can extend the number of classes more than 20, say 100? If so can you please guide as to how can do that? 1. Gather example images of the additional objects you want to recognize (including any images the network was originally trained on if you wanted to continue to utilize those classes). Deep Learning for Computer Vision with Python covers both of these methods. Thank You! This was a beautiful guide. I have one question though, what are the 4 values in detections ? in line 42. You use it in the loop like this detections[0, 0, i, 2] what is 0,0,i,2? Please see my reply to “Aniket” on September 26 2017. I get an invalid syntax error. I’ve even tried loading the numpy, cv2 and still nothing. How to i get the code to run? Are you trying to run the Python script from within the Jupyter Notebook? If so, that is your error. Execute the script from your command line. So keep in mind if your images at not resized to 300×300 pixels than OpenCV will just take the center crop of your 640×480 image and then process it. Perhaps the center of your image contains higher resolution objects that you are trying to detect and using the center crop helps enable this? Yes I’m trying to detect quite small objects, relative to the image size. Why will it center crop? It cannot work with arbitrary image dimensions? What are the restrictions? That’s, I think, because “ciop” argument is not false by default, but true, so I ha problems with the detection until I added this crop=False argument. I am currently preparing a dataset to train SSD on it in order to localize my own objects. – or crop my images to isolate my objects alone in smaller images, and then put them in a folder which represents its class? Would one of these techniques make a difference during training? I am asking this question because I noticed that for classifiers the second method is used while for detectors the first one is used. But I couldn’t found anywhere if annotations were a rule for detectors or just a convention. As for the test images, I perfectly understand the use of annotations. You should always make annotations of the class ID + bounding boxes of each object in an image and save the annotations to a separate file (I recommend a simple CSV or JSON file). You can always use this information to later crop out bounding boxes and save the ROIs individually if you wish. The reverse is not true. Since SSDs and Faster R-CNNs have a concept of hard-negatives (where they take a non-annotated ROI region and see if the network incorrectly classifies it) you’ll want to supply the entire image to the network, not just a small crop of the ROI. I just wanted to say that I am deeply impressed by your diligence and sincerity in your blog posts. I have immense respect for you. I am an applied-maths guy and was looking to catch on recent developments in cv and your posts arrived just at the right time. In case I can be of any help to you ever, please do let me know. You bet. Please see this tutorial. Awesome blog for image detection using openCV. Thank you for this one. If I want to train my own set of images (not the COCO dataset) on MobileNetSSD, how can I do that ? Hi Falgun — I cover how to train your own deep learning object detectors (including SSDs and Faster R-CNNs), inside Deep Learning for Computer Vision with Python. Could you please show an implementation using other pre-trained models such as VGG_16? Hi Alok — I cover implementing VGG, AlexNet, ResNet, GoogLeNet (and Inception variants), SqueezNet, and other architectures from scratch with Python code and plenty of documentation (as I do here on the PyImageSearch blog) inside my book, Deep Learning for Computer Vision with Python. What algorithm has been used for only object detection in an image and what is its computational complexity? Thank you for the post. I am just wondering why you used a Caffe model instead of a TensorFlow model, could you please elaborate on this? Thanks! OpenCV’s “dnn” module works a bit better with Caffe models right now. I’m sure in future releases of OpenCV the TensorFlow model loading will become more robust, but for the time being OpenCV supports loading Caffe models a bit better. What is the algorithm used here for object detection and classification and what is the time and space complexity for the same? The blog post discusses the algorithm used for detection: MobileNet + Single Shot Detector (SSD). how to detect objects other than those mentioned in the class labels? You would need to apply either (1) transfer learning via feature extraction or fine-tuning or (2) train your own custom network from scratch. I discuss how to perform all of these techniques inside Deep Learning for Computer Vision with Python. The class labels (21 labels) used for initialization at the beginning of the code in this post are those used during the training. That’s the reason why you choose only 21 labels in the post. Am i right ? There are more than 21 objects in the COCO dataset. Why do we only choose 21 of them as labels ? I mean we can set, say, 100 labels during the training, of course that would require more training time. The 21 labels in this post are the 21 class labels the network was initially trained on. The creator of this model trained on a subset of the full dataset. Hey Ali — sorry, I haven’t used a Windows system in a good many years. I’m not sure about the best way to install Caffe on Windows. Hello Adrian, may u give me solution? i want add new object in your project, for the step , what i doing in first time ? The first step would be to gather your training data. Deep Learning for Computer Vision with Python will teach you each and every step required to train your own custom deep learning-based object detectors. Great intro. I didn’t read the code part because I was looking for reasoning regarding training new classes (classes outside of PASCAL VOC, or whichever dataset the pretrained weights were trained on). I look forward to reading more of your articles. Thanks Matt, I’m glad you enjoyed the post. If you’re interested in training your own object detectors on your own custom classes and datasets be sure to take a look at Deep Learning for Computer Vision with Python where I discuss it in detail (including code as well). Opencv is working fine in my other applications. Thank you! The path to your input prototxt file is incorrect. Make sure you use the “Downloads” section of this post to download the source code and then double-check your paths to the input .prototxt and .caffemodel files. i got an error, please help! Hey there, I’ve addressed this question a few times in the comments section. See my reply to “Noor khokhar” on December 4, 2017 to help you get started. Hi Adrian, I have been following your posts, great stuff. I am saving money to buy one of your bundles. By the way, have you look into Keras RetinaNet implementation?, I would like to hear your thoughts. I have looked at RetinaNet and I have successfully used it. I will be doing a blog post on it in the next couple of weeks. Great article.Have you ever talked about RetinaNet in one of your blogs? Yep! It was covered in Deep Learning for Computer Vision with Python. Really a very interesting Post. How can I train this software for detecting only one category like road signs from a given image . Hi Aqsa — one of the chapters inside Deep Learning for Computer Vision with Python discusses how to train your own custom object detector on road signs. I would suggest starting there. You need to supply the command line arguments to the script, exactly as I do in the post. If you’re new to command line arguments, that’s okay, but you should read up on them first. It loops over the total number of detections from the network. I would suggest adding some “print” statements in the code to help you debug and visualize this as well. It performs a “forward pass” of the network. Simply put: it computes the detections and associated probabilities. I want the SSD mobilenet to classify trains, truck and other vehicle types too. Please tell me how do I add more classes/categories to the pretrained model ? You cannot directly add more classes to the pre-trained model. You would need to either train the model from scratch or apply transfer learning via fine-tuning. I discuss how to train your own custom deep learning object detectors, including how to recognize different types of vehicles, inside Deep Learning for Computer Vision with Python. Your blogs have helped me understand the code easily and I thank you for that. What if I want to reduce the number of classes for detection? I have tried doing that and have been facing errors with idx out of range. You don’t want to modify the CLASSES list. Instead, when looping over the detected objects, use an if statement to filter out classes you are not interested in. What is the difference between training a convolutional neural network for classification and one for object detection? For what I understood in your post is that once you are ready, you have 2 models 1 for object classification y another for object classification. How do you combine both models to work together? 1. A classification network will give you a class label of what the image contains. 2. An object detection network will give you multiple class labels AND bounding boxes that indicate where in the image each object is. Keep in mind that it’s impossible for a machine learning model to recognize classes or objects it was not trained it. It has to be trained on the classes to recognize them. If you’re interested in learning more about classification, object detection, and deep learning, I would suggest taking a look at Deep Learning for Computer Vision with Python where I discuss the techniques in detail (and with source code to help solidify the concepts). So, what you are saying is that for object detection there is only one neural network that will bring the class label and the bounding boxes? I just need one big dataset and with it I can train my neural network for object detection? or an object detection network is form with 2 differente networks, one for class label and other for bounding boxes? You normally start with what we call a “base network”. This network is typically, but not always, pre-trained on an existing dataset for classification. We then modify the network architecture, remove some layers, add new special ones, and transform it into an object detection network. We then train the entire modified network end to end to perform detection. and also the code that was mailed to me. the problem is i dont know how to run it. i am new to this and i have no clue on how to go about the execution of this code and if i require any other software. so it would be really helpful if someone gave me steps to execute it. If you are new to running code and command line arguments, no worries, but you should read up on the command line first. I would also recommend reading up on command line arguments. First of all, love your work. 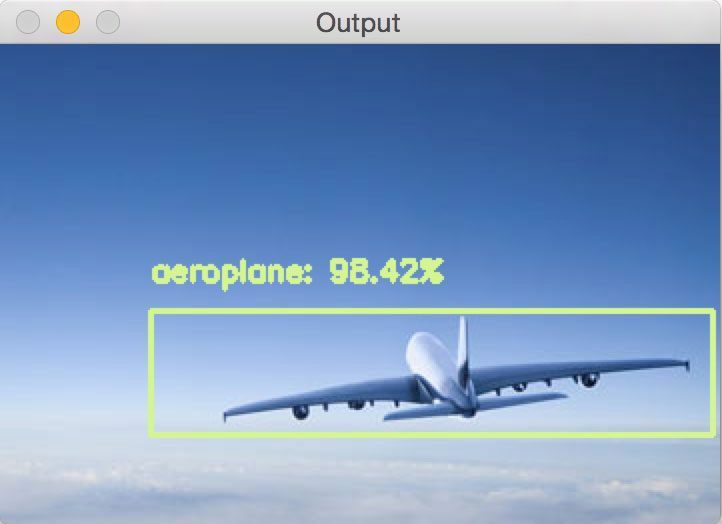 And especially love this tutorial for making ML easily understandable and used with opencv. Just wanted to let you know about the MobileNet-SSD object detection model trained in TensorFlow found by following the information in opencv > dnn > samples > “mobilenet_ssd_accuracy.py” has alot higher accuracy (or more detections if accuracy isnt the right word here). Thank you for sharing this, Tai! Your blogs have helped me understand the code easily and I thank you for that.If I want to detect fruits on tree specifically fruits like apple,mango,strawberry,watermelon,orange,pineapple then what should I use. Actually I have detected on tree fruits on the basis of color. But that is not much accurate .Is their any way to detect and identiy on tree fruit. Hey can you explain me the different parameters used in the layers in prototxt file and how the image is processed from one layer to other like what is the input and output of the hidden layers? how do we decide the number of layers? Also how does the entrire process goes? Hey Bhavitha — explaining the entire process of how an image/volume is transformed layer-by-layer by a network is far too detailed to cover in a blog post comment, especially when you consider the different types of layers (convolution, activation, batch normalization, pooling, etc.). The gist is that a network is inputted to a network. A total of K convolutions are applied resulting in a MxNxK volume. We then pass through a non-linear activation (ReLU) and optionally a batch normalization (sometimes the order of activation and BN are swapped). Max pooling could be used to reduce volume size or convolutions can be used as well if their strides are large enough. This process repeats, reducing the size of the volume and increasing the depth as it passes through the network. Eventually we use a fully-connected layer(s) to obtain the final predictions. Then I suggest you work through Deep Learning for Computer Vision with Python where I discuss all if this in detail. Thanks for the suggestion Adrew. Is there any big difference between the CNN and MobileNets+SSd? what do you mean by depthwise separable convolution in detail? A CNN is used for image classification. A CNN is also used as a base network in the SSD framework. When saying “MobileNet + SSD” we’re saying that MobileNet is the base network and SSD is the object detection framework. You need to supply the command line arguments to the script. See this post. Thank you for your posts. I have learned alot from yours. So is it right if I say we can use MobileNet base-network with YOLO framework? Hey Abhisek — I don’t have any experience with this model so I’m not sure what the error is. It does look cool though so if I have some spare time I might take a look (no promises though). how to detect other objects for example resistance, inductance? I’m not sure what you mean by “example resistance”. Could you clarify? In your program (deep learning object detection.py) you have detected 20 object, but for me I choose to detected other electronic object as resistance, diode, Microcontroller …. I would like to help you to show how add these object. Got it, thank you for the clarification — I understsand the question now. You cannot simply modify the code to detect your microcontroller components — you need to train the network. I cover how to train your own custom deep learning-based object detectors inside Deep Learning for Computer Vision with Python. I would suggest starting there. how can I add ‘ball’ to the classes? so that I can also detect ball in the provided image. You cannot simply add “ball” to the classes. It requires training or fine-tuning the network. I am running object detection on Rpi 3 with a raspicam(Raspberry pi camera connect via CSI cable) I am getting following error . I tried debugging None type error but no luck can you please help into this? PS: camera is working fine. I tried normal capture and streaming to a local web server but its working properly. To start, take a look at my reply to “Ajeya B Jois December 29, 2017”. My reply discusses “NoneType” errors and how to resolve them. Additionally, the post you commented on does not include real-time object detection — perhaps you meant this post? Hi Nilesh — I have not tried using the readFromDarnket function yet. Once I do I will write a post on it. I want to add a new class but it does not work. the example of the class I want to add is the ladder. what’s wrong with this. does the class of stairs not exist? from the reading even shows that the picture is a chair. Are you using the pre-trained network in this blog post? Keep in mind that the network was never trained on a “ladder” or “chair” class. You would need to either train the network from scratch or apply fine-tuning. This appears to be a common misconception with this post so I’ll make sure to write a follow up tutorial in early May. yes. i used the pre-trained network in this blog post. but not work for ladder or chair. what do I do if I want to add new data? so I do not add data to previously trained data? Hi Usup — stay tuned for my blog post that will go live on 5/14/2018. and how can I create my own ? How do I read a .caffemodel file ? Hi Kaustubh, training a Caffe model is outside the scope of this blog post. I do cover Caffe in PyImageSearch Gurus if you’re interested in learning to train Caffe models. But how we can to train model to recognize some new object? May be your have short tutorial for this? Be sue to take a look at my book Deep Learning for Computer Vision with Python where I demonstrate how to train your own custom object detectors. Hi, Is it possible to fine tune this caffemodel for own application? Yes, this model can be fine-tuned. Do you have any experience fine-tuning models before? do you have any idea how to run SSD detector fast; like how to increase FPS? I implement SSD( single shot multi box detector) person detector and add a dlib tracker with it. but it is very very slow to the extent that it can not be used for real time applications. but Hog detectors work well with dlib tracker and it is fast (sufficient for real time apps). Have you tried pushing the SSD inference to the GPU? That would be the fastest way to increase speed. I do not understand what does it mean please? Run your object detector on your GPU vs. your CPU. It will run significantly faster. Thanks for the inspiration Adrian. Well, I have almost followed all your blog post and successfully applied some of it. Particularly for this blog, I have investigated several related papers started from R-CNN and all the way to YOLO. But I have been stacking with very first stage of all of those methods, how to prepare own custom dataset include annotation so I can use my own custom dataset . It seems all those methods are using public dataset which already annotated. It sounds like you are asking about annotation tools and how to annotate your own images? Take a look at LabelMe and dlib’s “imglab” tool. I also discuss how to label your own images for object detection inside the PyImageSearch Gurus course and Deep Learning for Computer Vision with Python. This blog post will help you learn the fundamentals of deep learning object detection, including adding or removing classes. Is this method follows Non-Max-Suppression? When I’m running this algorithm it is showing a person with different boxes and upper half and lower half but not the person as whole object? This method does indeed apply NMS internally. In your particular image it sounds like the network is localizing the person as two objects. This could be due to an odd angle of the person in the image, the input resolution, or image quality. how to get other objects to detect by using this program..
and how to train the objects to help program to detect in the video frame.. I would suggest starting by reading this blog post on the fundamentals of deep learning and object detection. From there, read this blog post on real-time object detection with deep learning. Hello. I would like to know how can I get a background from some image, and, example, to compare him with another image background? I’m not sure what you mean by “compare background” in this context. Could you please elaborate? I think an image difference algorithm would work well here. First of all, I love your blog. They are simple and easy to follow. –prototxt : The path to the Caffe prototxt file. –model : The path to the pre-trained model. Does MobileNetSSD_deploy.prototxt.txt gets install when one installs Caffe? I could not find it in the “Caffe” (the installed) folder. Also, how do I train the model? For example, I want to train an image with a different set of objects (not the one mentioned above) and would like to have lesser neural network layers (since I do not have a complicated image to train). How do I do that? I am new to deep learning and trying to understand the program. 1. You actually don’t need Caffe for this example, just OpenCV 3.3+. OpenCV will load the Caffe files. 2. No, you need to actually download the prototxt and model using the “Downloads” section of the blog post. 3. If you wanted to train/fine-tune the model you would need to use the Caffe framework itself. If you’re interested in doing this I would recommend take a look at the PyImageSearch Gurus course as well as Deep Learning for Computer Vision with Python. How did you build the prototxt file and trained the model? You’ll want to take a look at the Caffe library. As I mentioned in my previous comment, I discuss how to train networks using Caffe inside the PyImageSearch Gurus course. That said, you might want to take a look at Keras along with the TensorFlow Object Detection API to train your own custom object detectors as well. is the a class to only detect a soccer ball ? The COCO dataset contains a “sports ball” class. Take a look and see if that would help with your project. I’ve had such good results with your realtime Movidius examples and MobileNetSSD as a starting point for adding AI “person detection” to video security systems, that I decided to use this as a starting point for a stand-alone Raspberry Pi3 & PiCamera module AI enhanced video security system. It works wonderfully and for monitoring intrusions and the one frame every ~2 second is very useful in many situations. Minor problem is the latency to detection. I can walk through the FOV, sit down at my monitor and then watch the frames where I walk through be processed. I’ve reduced the framerate from the default to 8 and it made no noticeable difference. Is there an option to use VideoStream from your imutils without the threading? Or should I just switch to using picamera module directly? I’m using your latest imutils v-0.4.6. Basically you can see a person walking briskly enter the right side of the frame and get a good detection and then the next image ~2 seconds later about to exit the left side of the frame but the detection box is drawn from the previous detection on the right side! If you don’t want to use threading you should just use the picamera module directly. As for your second question, I answered that in your comment in your other comment. In the future please keep all comments related to the project on the same post. It gets too confusing to jump back and forth — and furthermore, other readers cannot learn from your comments either. how to solve this error?? It sounds like you may not have any prior experience with command line arguments. That’s okay, but you should read this post first. Hi Adrian, i need your help please ! How can I edit your code to only detect cars? Thank you so much for your tutorial ! You should resize the image before calling cv2.imshow. You could use cv2.resize or my imutils.resize function. Hello, Adrian! Great lesson, thank you! I have a question. In your post you mentioned that it example based on combination of the MobileNet architecture and the Single Shot Detector (SSD) framework. As I understood you right, it example only suit to COCO dataset and was pretrained on it. What if I want to use it network for my purposes? I need to gather my own database and train it network on it? If yes, what requirements to images will be, where to find it? And how to train it? Use Caffe, right? Just want to clarify it details and get any possible links. You are correct that you would need to gather your own dataset but you don’t have to use Caffe (other deep learning frameworks can be used as well). I actually cover how to train your own custom object detectors inside Deep Learning for Computer Vision with Python. You should also read this guide on the fundamentals of deep learning object detection. I executed the code but it is not recognizing person from image example_03.jpg. if i have a picture with multiple persons and dogs in it, how do i come to know what is the percentage of women and the percentage of dogs in the picture ?? the percentage obtained from this technique is the accuracy rate which is not what i’m looking for . Hey Shweta — this is a simple math problem. Please help and let me know where am I going wrong. I am running it in IDLE as python file, first downloaded then added the path and then F5 to run in shell. Don’t run the command in IDLE, use your command prompt. If you’re new to Python command line arguments, that’s okay, but read up on them first. you uploaded cat detection on https://www.pyimagesearch.com/2016/06/20/detecting-cats-in-images-with-opencv/ …that is perfectly working..
but when i tried to detect the cat image taken from internet it does not detect .. The post you are referring to uses Haar cascades which can be very hard to tune the parameters to on an image-by-image basis. You should consider using a deep learning detector (like the one covered in this post). Hey Adrian, thanks for this wonderful article and for so many comments; I went through each of them and spawned multiple tabs. I have three questions as below. 1) Are you aware of any trained dataset which consist of primitive geometrical shapes viz. squares, circles, rectangles, semi-circles, quadrilaterals, polygons, etc. where the shapes are just wire-frames and not the solid types filled with some colors? 2) If such a dataset exists then can deep learning like in this article be applied to recognize multiple shapes of different sizes stacked together in a drawing as in https://imgur.com/a/5yw1b2m ? If yes, can there sizes be extracted too using some technique? For some reason I don’t want to use openCV image processing functions but want to apply deep learning in this problem. 3) If such a dataset DOES NOT exist then is the following strategy feasible/practical? a) Collect all the primitive and non-primitive shapes of different sizes occurring in many such drawings and put them into a dataset and annotate them manually. b) Train a model through some popular technique on this dataset to learn the features. c) Use this model with deep learning combined with openCV and detect shapes. I deeply appreciate you taking out time to read through this and for providing any advices, pointers, or existing work. Many thanks. Of the top of my head, sorry, I do not know of such a dataset. But you could easily create one yourself using OpenCV’s built-in drawing functions. Loop over random selections of shapes, sizes, colors, etc. and then create your dataset that way. From there you can train your own model. Thanks a lot Adrian, it saved my time in exploring such a dataset. Actually, there exist many 2D shapes dataset but they are very big and contain many different things so probably ill-suited for my problem. So what I understand from your advice is that I generate all the shapes with different parameters and create a dataset of all shapes occurring in my drawings. After that I can train a model for this dataset and do object recognition using deep learning ? Is deep learning the only solution if I want to have an AI based solution? Thanks a lot. Your understanding is correct. Deep learning is certainly not the only solution but you will need to leverage machine learning to some extent. I think you would be a great fit for the PyImageSearch Gurus course where I discuss image classification in detail. I have no doubt you would be able to solve your project after working through the course. but still i am getting the same error. I am looking forward for your help/inputs. Double-check the path to your input image. The error is likely due to the “cv2.imread” function returning “None” due to a non-existent file path. Thanks a lot for your tutorial, it worked perfectly for me. It worked well but much, much slower and, what was more important to me, it consumed a tremendous amount of memory (around 1G for just one image processing). How would you explain that OpenCV does its work much better (faster, less greedy)? 2) Do I understand properly that I can feed cv2.dnn any other supported model from other frameworks like tensorflow? Which model did you use from the TensorFlow Object Detection API? Keep in mind that the architecture you used will have a very different memory footprint. Secondly, the cv2.dnn module does support a number of different frameworks but you’ll need to check the documentation depending on which specific one you want to use. I need detect object on the Online Shopping Page. The images could be Baby’s items, Apparel, Electronics, Home Decor etc. Do you suggest a suitable Caffe models? Hey Rupak — I do not have such a model. You would likely need to train your own model from scratch. 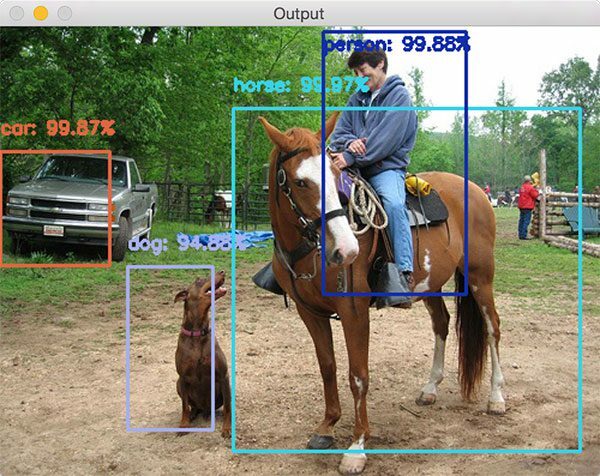 The following blog post covers the fundamentals of deep learning object detection. You should also refer to Deep Learning for Computer Vision with Python to learn more about training your own models from scratch. I am new to deep learning am i’m trying some program for face detection using opencv. Is there any pre-trained module from which we can find out the parts of body? I answer your exact question in this post. Modified your code to capture video from the webcam on my laptop, and run detection on each frame. Works really cool!! Your tutorials really are awesome!! Thanks Siladittya! 🙂 And congrats on running the object detection script on your laptop. Hey can someone help me with this. Is there any step by step tutorial for running this code. I’m totally new to this. If you’re new to Python and programming in general, that’s okay, but this is a more advanced guide and it does assume you know the fundamentals. I would suggest investing some time into learning the basics of Python before trying to run these more advanced examples. I’ve gone through all comments here. I am using opencv 3.4.2 in raspberry pi 3. It sounds like you’re actually not using OpenCV 3.4.2, you’re using OpenCV 2.4.9.1. It sounds like a Python path issue. Make sure you have followed one of my install tutorials to ensure your system is configured properly. Hello Adrian, I used your tutorials for installation. However the problem got fixed when I used workon cv before executing this code. Your install of OpenCV does not have the “highgui” module. I assume you pip installed OpenCV? If so, you didn’t have the proper GUI library pre-installed. Make sure you refer to eone of my OpenCV install tutorials to help you configure your machine properly. Could we use this in x-ray images? You would need to train your own custom model for x-ray images. Furthermore, semantic segmentation may be a better option as well. Where can I get more information on training my own custom model for x-ray images? Is it possible if I buy your book? It’s 100% possible but you will need to understand how deep learning-based object detection works first. Be sure to read the tutorial, it will help you get started training a model to detect different classes. Hi Adrian, thank you for the tutorials. I am a beginner and your tutorials are of great help. I do have some questions. 1) I tried dnn-mobilenet ssd, using the 20 classes trained by chuanqi (same as yours). It works. But there are any pre-trained models that I can use? I am actually trying to detect boxes but sadly the 20 classes did not include boxes. 2) Inception V3’s model do have cartons. But are they strictly for image classification? Can we use the model for object detection? If can, how can we do that? 1. What kinds of boxes? 2D representations that are squares? Or actual packing boxes? 2. You would want to apply transfer learning via fine-tuning with the Inception V3 model as your “base” or “backbone” network. I discuss how to apply transfer learning for object detection inside Deep Learning for Computer Vision with Python. Use anaconda to manage python libraries, including opencv. Hello Adrian, how come I implement this on android? can you help me to do so. OpenCV provides Java/Android bindings but you will need to refer to the documentation for them. I do not have experience with the Java/Android OpenCV bindings. hello sir how can i make my own caffe data…. I would suggest starting by reading my gentle guide to object detection. From there you’ll have a good understanding of how these algorithms work, including resources to start training your own models. Thank you very much for a great post! I downloaded the code and it works really well. However, I obtain slightly different detection results than the ones you showed. For instance, one potted plant and the person are missing in my detections in the file example_03.jpg (a horse jumping over a hurdle). I also get different bounding boxes in the first image of two cars on the highway. My question is: was the model retrained in the meantime? What I find surprising is that it seems significantly less accurate than the YOLO network you presented recently. The model was not retrained at all. It may be a difference in our OpenCV versions. I have a question though what does the percentage(%) denote after detecting an object? The probability/confidence of the prediction. I thought COCO had 90 classes. I see this model has only 20, what happened to the other classes? Thanks Adrian. There are various subsets of the COCO dataset, both existing and ones that can be manually created. This one was only trained on 20, at least according to the person who trained the model. Hey Adrian, great tutorials, even for beginers! How can I change the program to detect only people (or any single class)? And is it possible to crop the area, where detected object is? Im going to create traffic lights detector and find out the signal (red light or green), so i need to crop the area, where traffic light was found. Yes, you can certainly do that. I would recommend reading this introduction to object detection first. If you’re interested in training your own deep learning models be sure to refer to my book, Deep Learning for Computer Vision with Python. Like usual, great job Adrian! This is just amazing! On my HP machine, when I use YOLO it takes approximately somewhere between 1 to 10 minutes to detect objects in the dog.jpg image, while running this code takes anywhere between 0.5 to 1 second for the same exact image!!! Its really amazing! Thanks so much Ahmed, I’m happy you found the tutorial helpful! Kindly, I would love to figure out a way to have this program to process detection on multiple images inside Images folder automatically, and keeps running so that whenever I throw an image inside the Images folder it will process it. Then saves all outputs in a seperate output foldr! How can achieve that? Do you have any tutorials or some resources that guide me to accomplish this goal? There are a few ways to accomplish that, but it’s honestly not really a computer vision question, it’s more of a Python programming question. There are plenty of tools you can use to monitor a directory for new files. Python’s watchdog seems like a good option but I Haven’t personally used it. Awesome! The watchdog script you recommended was helpful! I have to only detect humans in a video what all changes do I have to make to the classes in order to detect on humans? I cover exactly that question in this post. Should we change arguments like –image? sry I’m a beginner. Idk what to do to make it run. No worries if you are new to command line arguments, just refer to this tutorial first. I know that if we use Keras ResNet50 in kaggle kernel, we shoud load it directly from internet. Is there such a possibility to do with OpenCV models? Sorry, I’m not sure what you are asking. Are you asking if Keras models are compatible with OpenCV? If we use the OpenCV model (for example MobileNet SSD), we should download it from GitHub to our computer, and then load it into our program from the directory where we have downloaded it. I meant that maybe we could skip downloading it to our computer and load it into our program directly from GitHub. This seems like a stupid question now, I’m sorry. How can i add more labels in the pre trained model ? I answer that exact question in my gentle guide to deep learning object detection. Great question. I elaborate on that and provide answers/suggestions in this gentle guide to deep learning-based object detection. Great tutorial. I really appreciate the work you do Adrian. Its has help me a lot in learning NN in python. I want to detect hexagon shape from image(s) and image(s) consists of many objects !!! Can you please guide me !!! There are a few options. If you can easily segment the background from the foreground then simple shape detection would work. Otherwise, you may want to try training a HOG + Linear SVM detector. If all else fails you can train a Faster R-CNN, SSD, or RetinaNet detector to detect the hexagons. Those detectors are covered inside Deep Learning for Computer Vision with Python. I’ve mentioned this in the comments section a few times (so please make sure you’re reading them) but OpenCV’s “dnn” module does not yet support many GPUs, even if you compile OpenCV with GPU support. If you need GPU support for inference right this second you should be using the “pycaffe” bindings of Caffe. I am reading your blogs since last few days and my interest in ML / DL has increased. And i have become fond of your blogs ! Just one question about this article. Is CAFFE model a must ? Can we eliminate CAFFE model and opt for TensorFlow only? Yes, you could use a different model. The model we are using here today was just trained with Caffe, that’s all. If you’re interested in learning how to train your own custom deep learning object detectors be sure to refer to Deep Learning for Computer Vision with Python. I am running this program on windows (i5 processor) using a 24 MP USB webcam and the speed of obtaining subsequent frames and object detection is significantly slow.Is it because of the processor and camera?Is there any way to increase the speed ? This method runs on the CPU not the GPU, so yes, it will be slower. For faster, more accurate object detection you’ll want to refer to Deep Learning for Computer Vision with Python where I discuss object detection on the GPU in more detail. Hi Adrian, I used your object detection and set a counter so whenever it goes to a person, it’ll say person detected: 1 however, it keeps adding so it goes 1, 2, 3, 4, 5 even though there’s one person. Is there anyway I can only count one person based off the frame? Have you tried using my OpenCV people counter tutorial? 1)when i use the another picture which were not given by you then only specific part of the image is goes under the detection remaining part is not displayed on the frame output why???? 2) can you detect objects by using webcam? how? See this tutorial on object detection using video and webcams. See this post which answers your exact question. I wanna detect a car logo and define (Car brand name) as label. Landmark detection algorithm. Can you help me with that? I cover how to train your own custom logo detectors inside Deep Learning for Computer Vision with Python. I would suggest starting there. Hello, I want to know if this model is trained by yourself according to the steps of MobileNet-SSD, or you directly use the contents of the GitHub link, without any modifications.This answer is very important for me to understand the article and the article in the next video stream. If the model used here is your own training model, can you elaborate on your training steps?I am very eager to look forward to your reply. I did not train this model. It was trained and provided by the user in the GitHub link I included in the tutorial. Thank you very much for your reply, this is very helpful to me, thank you again for your attention to me. actually i need the code which counts the cars passed from camera ..
like a person counting system in mall so can you guide me please. You can build exactly that using this post and then swapping out the person class for the vehicle-related classes the SSD was trained on. what is background in the class? How to train this model for custom dataset like i want this model to detect the objects in the sea.Can you please help me with this?? Have you taken a look at Deep Learning for Computer Vision with Python? Inside the book I provide code + instruction to train your own custom deep learning object detectors. Do take a look! I want to know how to code for detecting litter on beach in python and can i connect python code with arduino ?? You would need to train a model to actually detect the litter. You can learn how to train your own custom object detectors inside my book, Deep Learning for Computer Vision with Python. And yes, Python does work with Arduino. You mean objects that the network was not already trained on? You would need to either train your own custom object detector or fine-tune an existing one. I cover both techniques inside my book, Deep Learning for Computer Vision with Python. Thank you for explaining things easily. One question, how many hidden layers used for the network? I would like to display the time taken for the model to detect the objects for image input. What are the necessary changes I need to make to the code?